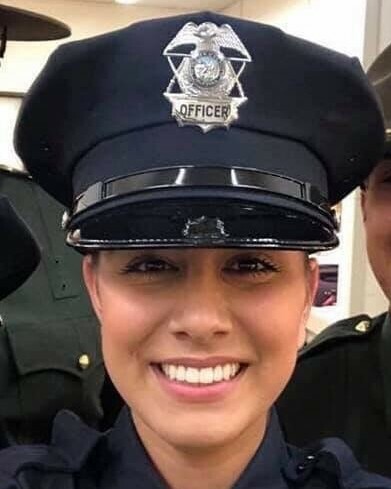 Police Officer Natalie Corona was shot and killed after responding to a report of a three-car vehicle crash near the intersection of 5th and D streets. As Officer Corona was conducting an investigation at the collision scene, a person not involved with the crash rode up to the scene on a bicycle. As Officer Corona spoke to one of the persons involved in the crash the man then walked up to her and opened fire without warning, striking her. He shot her several more times after she fell to the ground before shooting randomly at others bystanders and vehicles. The subject fled into a nearby home. As responding officers searched for him he emerged from the home wearing body armor, yelled at the officers, and then re-entered the home. He committed suicide moments later. Officer Corona was transported to UC Davis Medical Center, where she died from her wounds. Officer Corona started her career with the Davis Police Department in 2016 as a part-time volunteer Community Service Officer. In 2018 she attended the police academy, graduating in July 2018. She completed her field training three weeks prior to the incident. She is survived by her parents. Her father had recently retired from the Colusa County Sheriff’s Office.